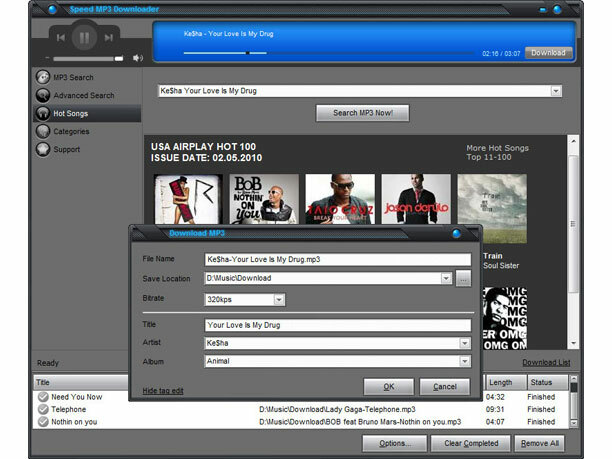 Speed MP3 Downloader is a fantastic program to search and download over 100 million mp3 across all genres fast and easily. Users can get the week's USA AIRPLAY HOT 100 recommendation, and download full length songs with no limitation at a higher bitrate of up to 320kbps as well. It is simple to download and install, and free of any malware. The mp3 files downloaded on your iPod or cell phone enable you to enjoy anytime, anywhere you want.